AccountMate’s Lot Control module adds the power of a complete lot control system to your Inventory Control. It gives you the ability to track units of lot controlled items from purchase or production through inventory and sale and allows you to keep a record of each lot controlled unit’s expiration date. 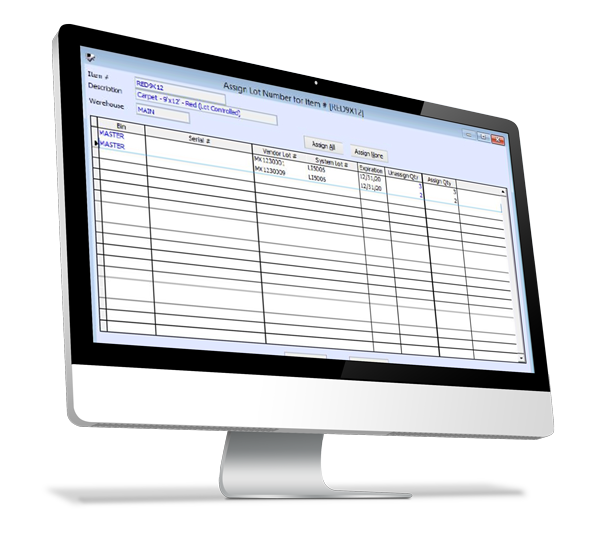 The Lot Control module integrates with AccountMate’s Accounts Receivable, Sales Order and Purchase Order modules.